Since the act of design is, by definition, one of communication, designers from all sectors are increasingly aware of the need to underpin their practice with a sound knowledge of key communication principles. This issue of MEI investigates the complex relationship between communication and design and questions how communication theories impact broadly on design practice. 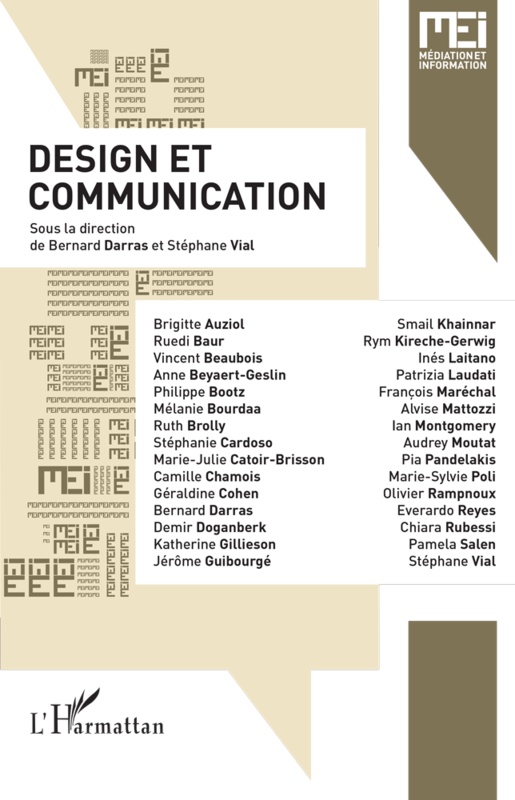 The 30 contributing authors come from a wide range of backgrounds in the fields design and communication, each undertaking an integral role in creating, researching and acknowledging the role of communication in relation to design. Areas of investigation examined in this issue include graphic design; interactive and digital design; product design; architectural design; landscape design; urban design; eco-design; co-design; textile design; fashion design; design management; strategic design and social, or service design. Bernard Darras - Stéphane VialSorry, this entry is only available in French.